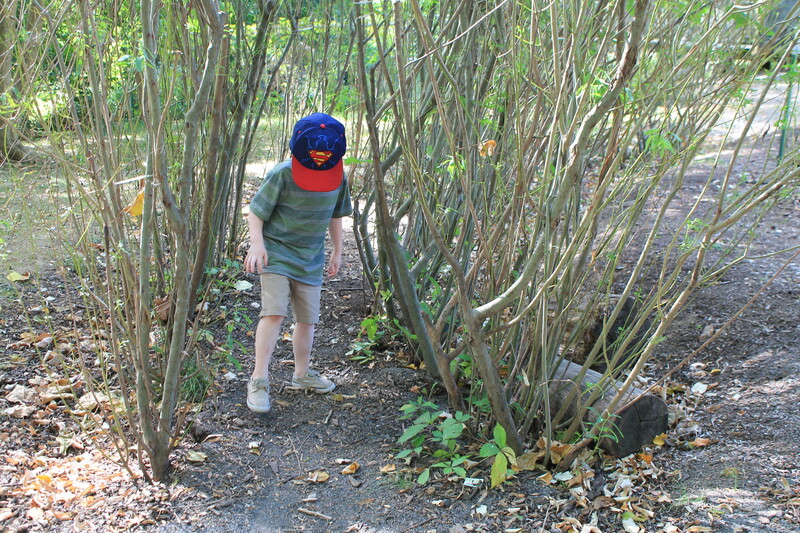 This past summer, after wanting to go for a while, we decided to take a trip to Smith Playground, a giant, nearly six acre playground located in the Fairmount Park vicinity of Philadelphia. The park and accompanying mansion sized playhouse has been part of the city for over a hundred years, however, was shut down back in 2003 for some much needed restorations. Until then, the maintenance of the playground remained as part of a trust created by Richard and Sarah Smith, two wealthy Philadelphians who built the playground so that children could have a safe place to play outside of urban areas of the city. 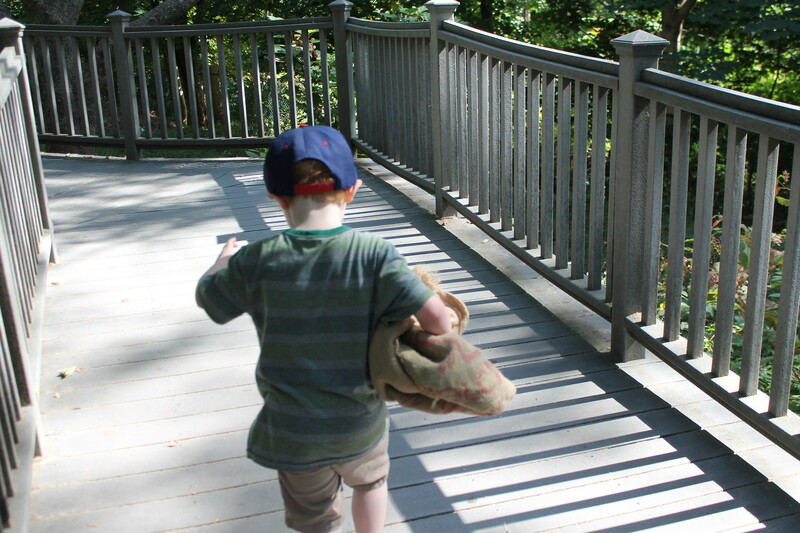 Now, the park collects donations from members and visitors to maintain and staff the park and its amenities - including a giant, 39' wooden slide, the multi level playhouse, and several, modern play facilities for children of all ages. When you enter the park, it is asked that each family make a donation of $5, however, for $30 you can obtain an annual membership. Since we have already gone a few times, the membership pays for itself. There are also several member only events, including Halloween events, concerts, and meet and greets with characters from PBS Kids shows like Daniel Tiger. Visiting the playground can easily take up an entire afternoon, so if your little one likes to explore, climb and play, make sure you bring food and drinks with you...although occasionally there ARE some amazing food trucks on spot to try some gourmet food. 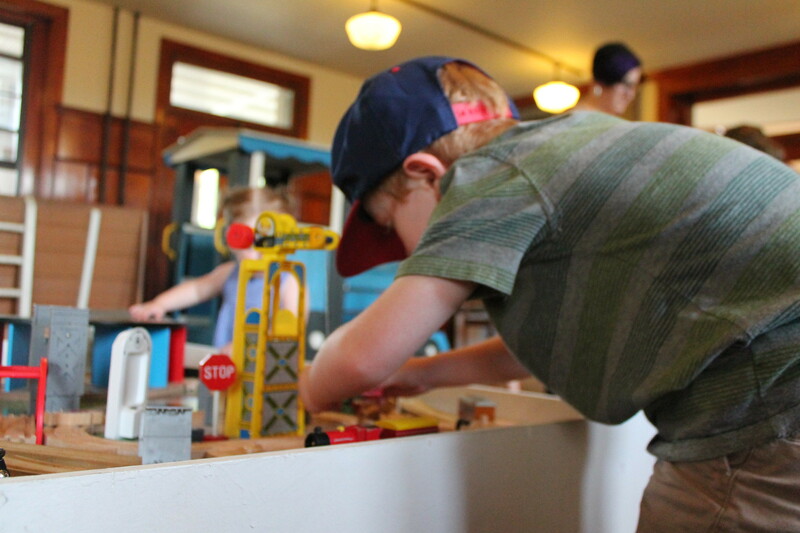 The multi-level playhouse is aimed for children five and under, although you do see some kids a little above that enjoying time with their younger siblings and gathering around the wooden train tables (which there are three of now with all the amenities). There are also soft blocks, doll houses, kitchen sets, and explorations drawers - although these can rotate since sometimes thing break or wear out form the thousands of visitors every week. You cannot visit the playground without at least one roll down the giant wooden slide. Marked as one of those "must visit oddities" of the city, the forty foot wooden slide is over a hundred years old (although recently refurbished) and lets kids and adults ride in packs atop burlap sacks until thy tire out. The sheer width of the slide, allowing around five kids to ride at a time, keeps the line at a minimum on most days. In addition, there are several 'regular" playground areas that are sectioned off so parents don't have to chase after their kids through the entire park. 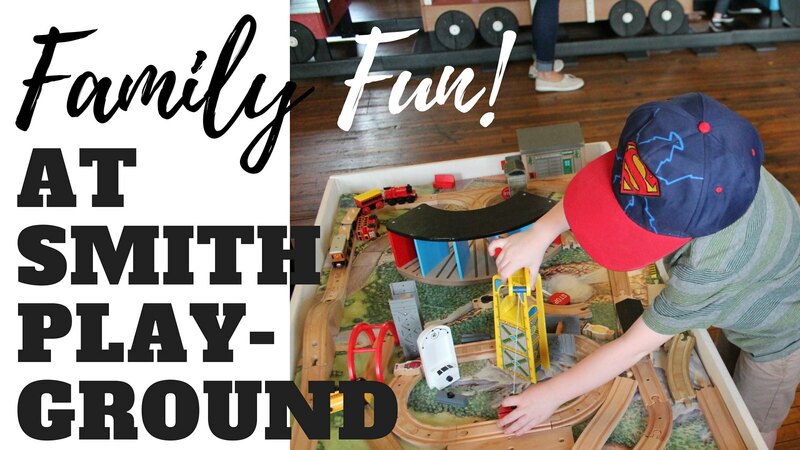 There is also a dedicated play area with slides, swings, and more specifically for kids five and under away from the rambunctiousness of the older children so there is less of a chance of an accidental collision. If you're interested in seeing more, check out the video Eamon and I made on our last visit!